Family tree can be viewed as a diagram which is basically a graphic scheme of family tree or now even as a book. This new book feature is a story of your own family. Click on book icon in your diagram next to the main persons and you can enjoy this new book feature. 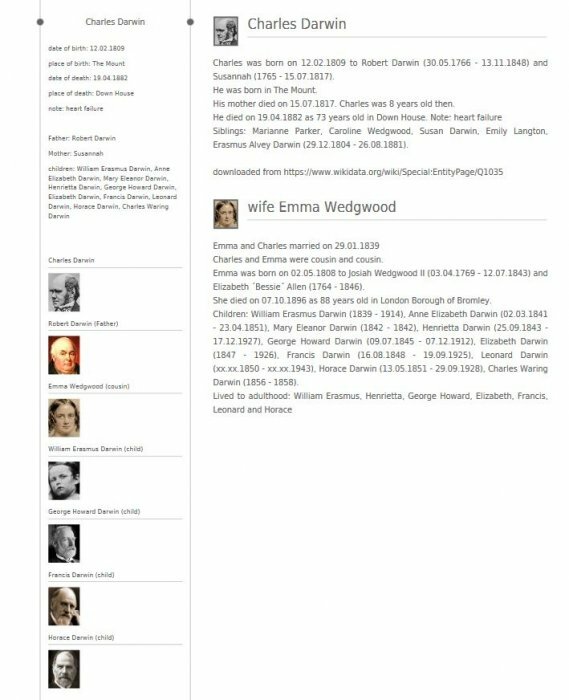 Now you can can browse through interesting facts from family, e.g. who comes from twins, whose parent died at young age or who married their cousin. There is always a link on parents, wives/husbands or children. Hence you can click on these people and see stories of their own. The whole text can be printed by clicking on PRINT. This will create a composition in pdf format which you are now able to save to your computer, print or send by e-mail.